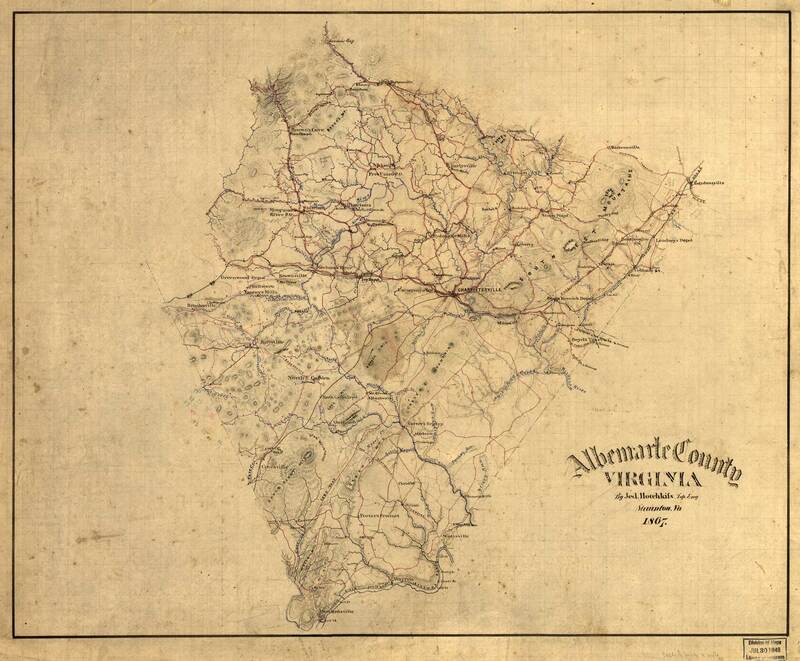 Jedediah Hotchkiss | Albemarle County, Virginia by Jed. Hotchkiss, Top. Eng. Albemarle County, Virginia by Jed. Hotchkiss, Top. Eng. Fine drawing, giving roads in red, drainage in blue, and elevations by hachures. Description derived from published bibliography. 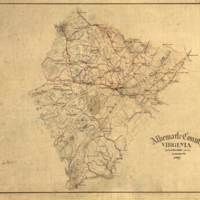 Jedediah Hotchkiss, “Albemarle County, Virginia by Jed. Hotchkiss, Top. Eng.,” Jedediah Hotchkiss, accessed April 25, 2019, http://hotchkiss.neatline.org/items/show/17.